The secret to financial planning -- like investing -- is to stick with a plan. Developing a strategy and following it doesn’t have to be a complicated undertaking, though it is important to factor in your entire debt situation as well as your budget. Most Americans don’t spend as much time on financial planning as they do on activities that aren’t nearly as consequential, only to pay the price later on when unexpected expenses arise. 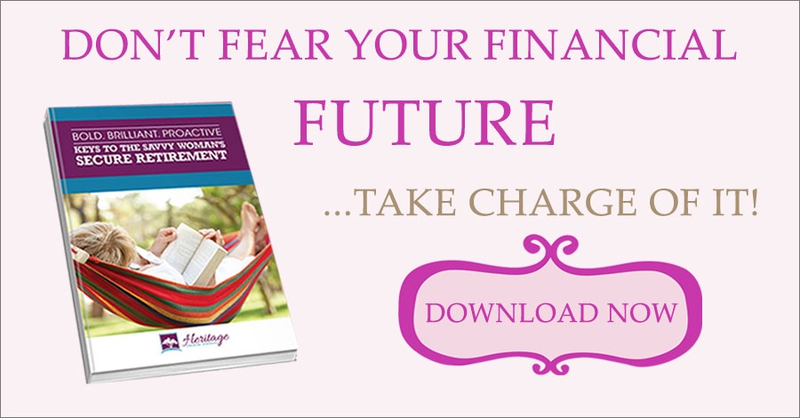 Here are some useful ideas that can get you on track financially and put you in a good position to handle challenges that can turn your financial world upside down because you’re not prepared. Settle on a financial goal that includes specific dollars for things like a down payment for a home, retirement, and children’s college tuition and expenses. Structure it so that automatic payroll deductions go directly into each fund, with allocations made for stock investments. For most people, it’s a more reliable and effective way to set aside meaningful amounts of money for future financial needs that will only continue to go up in costs. A well-conceived plan will also help make savings a reality even in the face of financial obligations like college tuition loan debt. Having long-term financial objectives and a strategy locked in will also keep you from being affected by periodic setbacks. Make a priority of building up an emergency fund capable of sustaining you for at least six months in the event of a financial emergency. This reserve should make it possible to keep with mortgage, utility, and car payments, as well as living expenses like groceries. Think of it as a psychological comfort as well as a financial safety net when you know you have enough to get by on in the event of job loss or a medical emergency. Selling an investment for less than you paid for it allows you to use the loss to offset taxable gains in other investments. It’s a smart way to maintain overall profitability through more valuable investments and keep things manageable at tax time. Be aware that you may deduct up to $3,000 in losses against your usual income to lower your taxes. Consider purchasing a life insurance policy that will benefit your family in case something were to happen to you or your spouse. Consult an agent to determine rates and premiums before settling on a policy that best suits your needs. One of the cornerstones of financial planning is assessing expenditures in light of your budget. The best way to do that on a week-by-week basis is to hang onto those receipts you toss in the garbage at the restaurant or grocery. Use them to get a good idea of your spending habits and decide where you can, and should, cut back. Eating out is one area where most people can save a significant amount of money. Instead of defaulting to your favorite restaurant every weekend, plan out meals ahead of time and eat together as a family. Planning ahead will keep you from running out of food before your next run to the grocery and make it easier to spend responsibly on food. You can also use the opportunity to eat healthier and lose a little weight while you’re at it. There are a number of Best Budget Apps designed to help simplify budgeting and financial planning. They’re an excellent option if you’re not into spreadsheets and laborious number crunching. Apps get rid of all that paperwork, update automatically, and are always right there at your fingertips, as close as your pocket. We've got the College Student Budget Template along with the Template Guide to assist you or your college student with budgeting. If you’re uncomfortable talking about money, think of financial planning as a tool for protecting your family’s interests, preparing for a happy future and being ready in case of an emergency. Utilize technology, either online spreadsheets or phone apps to help you track and compare your income/budget and expenses. And, above all, stick with your plan! Gloria Martinez started WomenLed to celebrate the advancements women have made and inspire women to become entrepreneurs and seek promotions in the workplace. This effort has been growing recently to include putting together information about financial literacy.